How many cells does a human have? | Blog about health and medicine How many cells does a human have? A human body is a gathering of an immense quantity of cells which defy all count. Scientists rate them from 75 to 100 trillion altogether. One may also add about 750 trillion of various bacteria to this amount. They make about 10% of the body and exist in human intestines. A female egg cell is the biggest one while a male sperm cell is the smallest one in the human body. To gain the mass identical with an egg cell the quantity of spermatozoon must reach about 175 000. For life a woman’s body re-creates 7 million egg cells. An average amount of blood in the human body is about 5 L, so the blood makes 7-8% of the body’s weight. The blood counts 25 trillion cells. A drop of blood consists of 250 million cells! 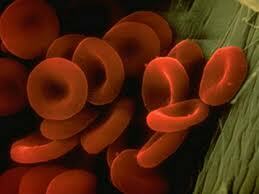 Red blood cells constitute as much as 40-50% of all the cells. The red blood cells’ life lasts for 120 days only and the cells use to cover 480 km about the whole body during this period of time. Blood needs 60 seconds to pass a full circle all around the body. That means in particular that within every second 3 million of cells die and arise simultaneously. If one adds all of the blood vessels together into a running line he would have got it as long as about 161000 km, what is like going round the Earth equator for 4 times. From birth there are already 14 billion cells in a human brain. For life their quantity does not increase, but since the age of 25 it is getting lower by 100 thousand a day. In a minute of reading about 70 cells use to die. After the age of 40 abrupt acceleration of brain decay can be observed. And at last after 50 neurons (nerve cells) shrink and the brain volume declines. If one takes the average size of a cell for 40 mkm and imagine all the cells of our body have been placed one by one into a chain, it would have come long enough to have the Earth wound round the equator 100 times. Many thanks, we will do our best for you always !